Updated Thursday July 13, 2017 by Scott Gearhart. 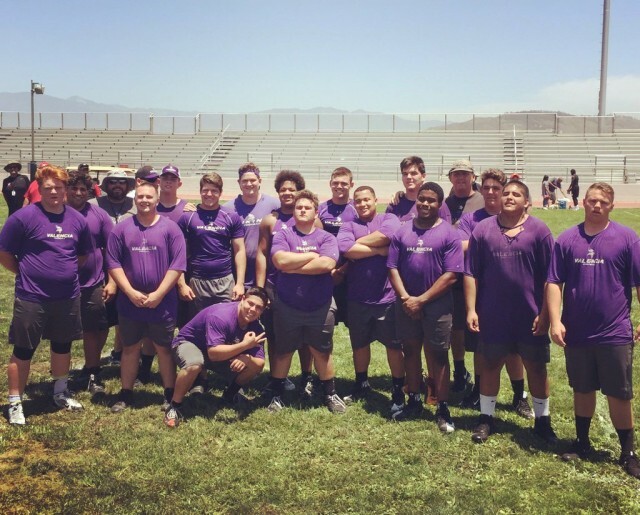 The Valencia Vikings Lineman imposed their will at the Rio Mesa Lineman Challenge today in Oxnard. 3 separate Lineman groups from Valencia took 1st, 2nd and 3rd place! Looks like all of that hard work in the weight room and on the field this summer is yielding huge results! A total of 16 teams competed in 9 separate events, including an obstacle course, tug-o-war, 5 man relay, heavy bag carry, cargo truck push, tire flip, bench press, power clean, and rock toss. Outstanding job guys!!! Way to show those other teams where the REAL BIG MEN reside, IN VALENCIA! Looking forward to seeing the BIG MEN DOMINATE THE TRENCHES this season!!!! Check the Photo Album section for more pics!